Now a 30 During 30 Project! I like horses. As a kid I was obsessed with them. I LOVED horses. Posters. School supplies. The Saddle Club book series. My Little Ponies. Grand Champions, marketed as the most beautiful horse toy in the world. In 1994, fuel was added to my pony fire when Black Beauty was released from Warner Brothers. And then I discovered the classic National Velvet starring Elizabeth Taylor. I just knew that I, too, could be a jockey if I stayed small and short (it didn’t happen). But for many years I never missed a Kentucky Derby and displayed a Superbowl level enthusiasm for the race, much to the confusion of my classmates. I grew up on 5 acres adjacent to my grandparent’s 90 acre cattle farm. My family played with the idea of clearing a wooded area to create a pasture to buy me my own pony or horse. But, disappointment of my life, it never happened. Just like the treehouse that was never built. The castle that was going to be made out of cement blocks that stayed on the drawing board. The motorcycle I was going to be allowed to have as a teenager…I could go on. Anyhow, our next door neighbors had a pasture just yards away from my house and they had horses, cows, goats, and sheep. So, it was almost like having my own horse, because I would pet their’s, talk to them, and feed them sugar cubes. I just never learned to ride. Sometime in late middle school early high school, I grew out of my rural fascination. It was a great childhood, but I knew that I was probably destined for city life in Atlanta. My attention shifted to things like Star Wars, anime, Bob Dylan, creative writing, art, and The Wallflowers. But the Atlanta plan never happened either, unless you count hanging around Atlanta with my future husband during the undergrad years. 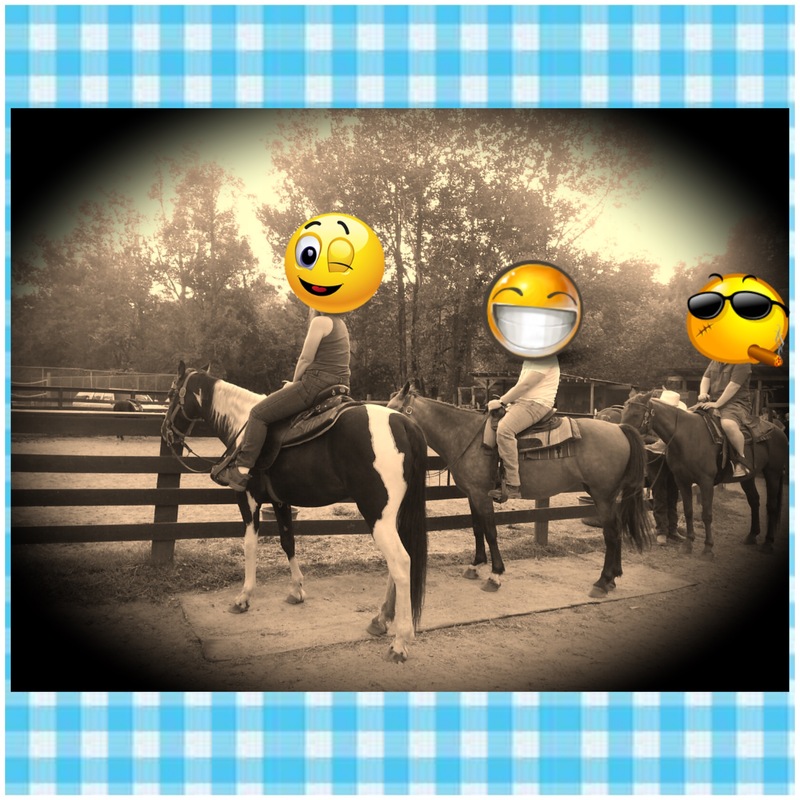 During these years, I became very interested in history and for the sake of creative writing, I thought horseback lessons would be good for novel research. Regency, western, and medieval historicals all need horses. 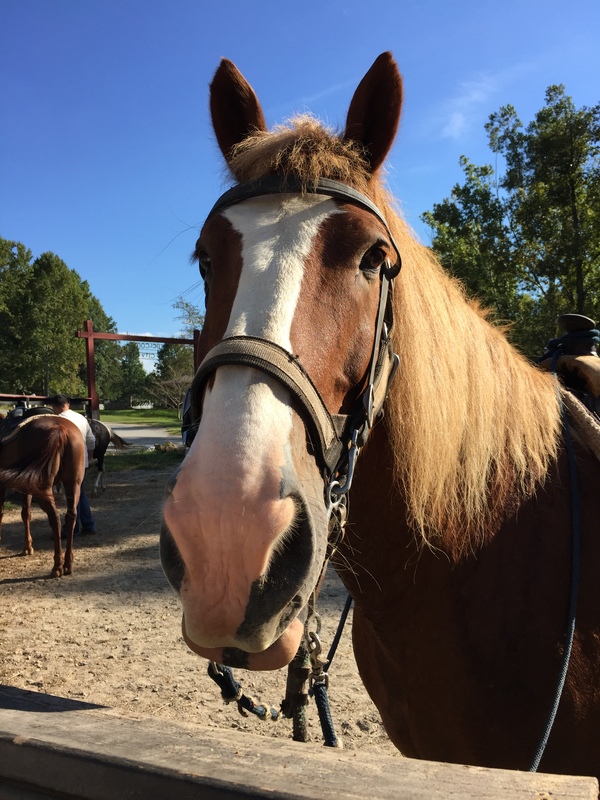 During my one and only semester at abhorred Wesleyan College in Macon, I very much wanted to take Level I horseback riding for said novel research. But the fee was $500 on top of tuition, I didn’t have health insurance, and being newly married to an equally broke medical student, we couldn’t swing the money at the time. Although in hindsight, a broke bone probably would have been a much better experience than the immensely disorganized, waste-of-time classes I did take there. I’ll never forget on my last day, I walked to the stables and petted the horses in the rain. The horses and the library cat were the only things to write home about. Fast forward some more, and apartment and city life, seriously got us down. It was a combination of things. Mostly lack of privacy. When you grow up as the child of home owners in a rural area, you’re accustom to an outdoor sanctuary. Then add being introverted and naturally a private person to the mix. At first, I took it in stride as an opportunity to grow and this might have been the case if our old neighbors and maintenance workers hadn’t been such creeps. I became constantly aware that we were being watched and eavesdropped on, and with thefts and the violent nature of crimes in Macon, I began to feel very caged in. This place was voted worst city to live in for a reason. There are no parks or libraries in the good part of town to escape to, so in our old neighborhood, we were stuck between cabin fever or creeps. About this time, we attended a panel on Agricultural Tourism at the Decatur Book Festival, and my new daydream of owning my own farm once again, was complete. But, again, I digress, back to horseback riding. When making the 30 before 30 list, the husband suggested horseback riding. As a kid, he rode horses with his family on vacation and for a long time we intended to make a date as a couple. We decided that this would be the year. 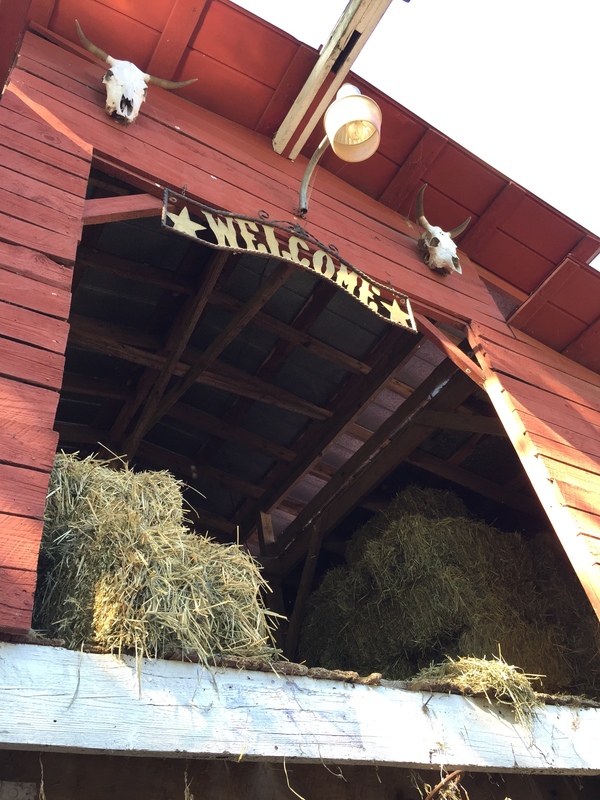 Weeks ago, I found a nice corral in North GA and we booked a date and time. We were both excited as kids waiting for Christmas. The day of the ride, bad news waited for us at the corral. 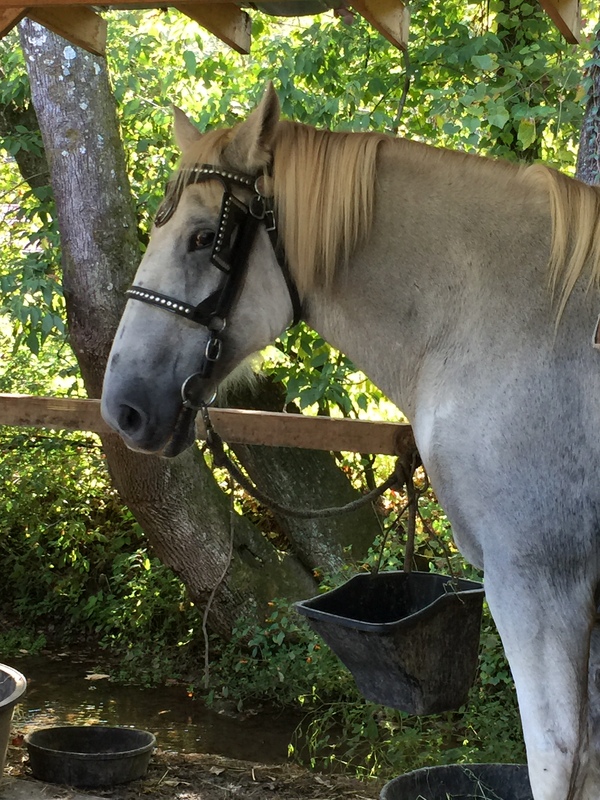 One of their 40+ year old horses was under the weather and had delayed all the scheduled appointments. A large church group was still waiting to ride. There was also a carriage being prepared for a wedding, and when it was ready, the bride wasn’t. We understood the delays and patiently waited as two hours passed. A city-slicker-type lady fell off her horse and had to be drove back to the corral. Then the next group after us, a large birthday party, showed up. It was frustrating, but I really felt for the people there. When I booked the appointment, I didn’t realize that the whole operation was run by volunteers. To my understanding, all the horses were rescued. For volunteers, they handled all the problems exceptionally well and were very kind. I was mainly frustrated that it felt like this was going to be another missed horse opportunity for me. Like, maybe, me and horses, no matter how obsessed I was as a kid, aren’t meant to be. Furthermore, with my husband’s schedule, we are crunched for time for this 30 before 30 list. I envisioned us having to leave after traveling five hours, and never having the time again. But then I tend to over think things. Moreover, we had family with us and I really hated feeling that I was wasting their time for something I wanted to do before I turn 30. But it worked out and suddenly the horses were ready. Then, I did, what I normally do, I got nervous. I have anxiety, a kind of mix of stage fright for life and performance anxiety due to perfectionism. I know everyone was probably thinking I was crazy. I waited over two hours and then I acted scared of something I wanted to do for years. That’s just me. I kept telling myself if the city church ladies could do it, I could, I’m a farm girl. But then I thought about the one who fell off, a cousin who was kicked in the face by a horse, and an old family tale that an ancestor was thrown from a horse and impaled. As I sat atop the horse, I smiled for photos, but I was really thinking “Oh God, why did I put this on my 30 before 30?” Unlike SkyView Atlanta, this was going to last an hour. The head volunteer was very kind and comforting through my nervousness. She told me that the horse I was riding was trained by a late friend of hers and that anyone who rides him will be safe because her friend looks down on her horse from Heaven. I thanked her for telling me that, and it did make me feel better. I kept telling myself I was riding the calm Angel horse of the corral. Midway through the ride, when I calmed down, I really enjoyed myself. Parts of the trail were beautiful and I daydreamed I had traveled through time like Claire from Outlander or was headed Out West or journeying to the neighboring kingdom. It was wonderful for my imagination and a great life experience. When we were back on the ground at the corral, everyone was laughing and in awe of the memory we just made. Now feeling over the initial fear, I would do it again. We would like to visit the same corral again in the future, but next time I’ll probably book a month in advance and stay at their on-site hotel. I’ve even daydreamed about owning horses again. I could see myself getting into the horse life, with the barn, the attire, and sense of community that goes with it. So, until next time, happy trails to you!